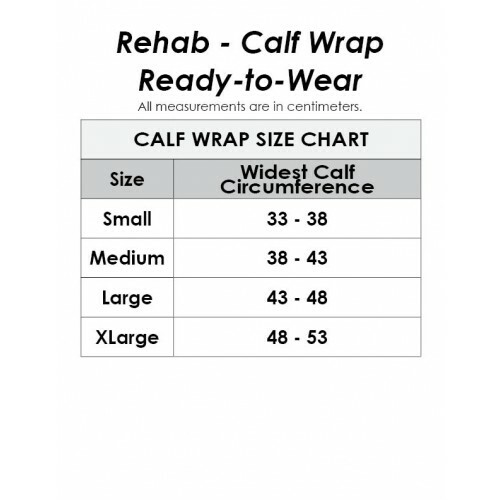 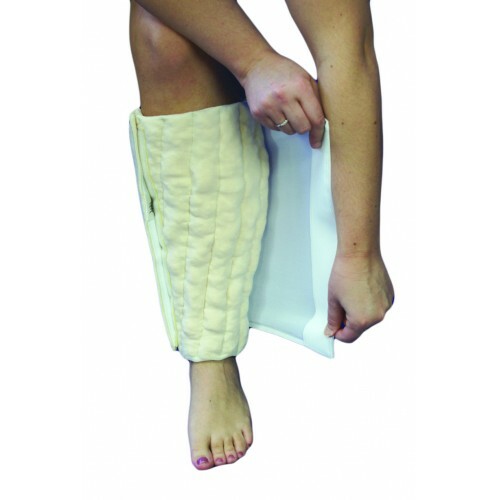 This adjustable, wrap-style, foam-filled garment covers the calf from ankle to knee and is easy to put on and remove. 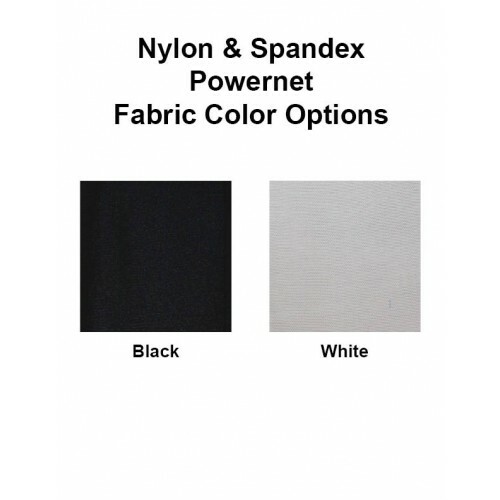 The garment comes with an attached Nylon & Spandex Powernet outer wrap for maximum effectiveness. 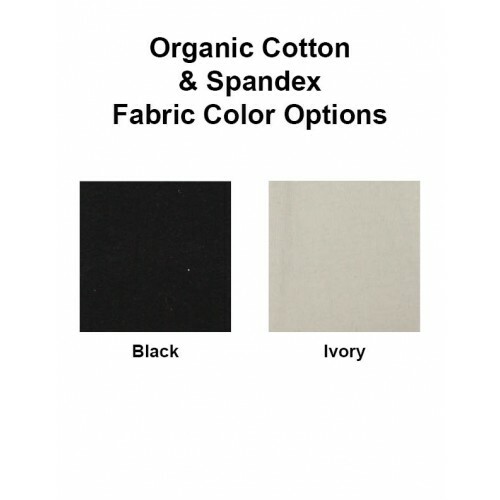 Made of Organic Cotton & Spandex with an outer Nylon & Spandex Powernet covering.